“There is a law in what I’m playing, but that law is a law that when you get tired of it, you can change it.” So said incomparable musical innovator Ornette Coleman, who died this morning at the age of 85, and while his career was full of these kinds of delightfully cryptic remarks, few unpack his special genius so succinctly. A fearsome intelligence and the personalized musical philosophy he introduced—that was the law. But playfulness lay at the heart of his every endeavor, which prized tinkering and experimentation more than any adherence to theory. This Is Our Music, his quartet declared in 1960; on that same album, the gentle-voiced alto saxophonist also cautioned that “Beauty Is a Rare Thing.” Forever uncompromising, always seeking the sublime if not utopia, Coleman was (is, dammit) perhaps America’s most democratic bandleader. He came out of 1930s Fort Worth and the I.M. Terrell High School Band, that storied hothouse for young Texas talent that included Dewey Redman, Charles Moffett, and the future Prince Lasha. Like so much of the American jazz avant-garde, his roots lay in the blues and R&B, kicking around juke joints with the “Jam Jivers,” bouncing between alto and tenor, turning heads every time he put reed to mouth, although not always in a good way. His first road gig was with a traveling show, which fired him almost immediately: A group of men kicked the stuffing out of him and tossed his sax into the brambles outside Baton Rouge. During a brief West Coast stint in bluesman Pee Wee Crayton’s band, the leader once offered him cash to lay out. His specialized logic soon found sympathetic ears, though, in players like New Orleans-raised drummer Ed Blackwell, whose devotion to second-line swing meshed with Ornette’s own love of country blues and folk rhythms. He briefly fell in with Montreal-born pianist Paul Bley, who hired him for club dates at Los Angeles’ Hillcrest Club. He eventually joined forces with Oklahoman Don Cherry and Iowan Charlie Haden, the former favoring pocket trumpet, the latter a former child singer until polio cut his country music career short. They were indeed a motley crew, especially with Ornette’s unique plastic alto saxophone, supposedly purchased in L.A. as the cheapest possible replacement for his destroyed tenor. They cut a series of albums for Atlantic between 1959 and 1960 that now seem perfectly logical: stripped down, flowing with melody, stuffed with humor and sound gags, deeply informed by the blues, cemented by Blackwell’s unerring swing and Haden’s lyricism, and showcasing Cherry’s idiosyncratic phrasing and Ornette’s instantly recognizable wail. Mingus got it. John Lewis and Gunther Schuller, too. But the Quartet’s 1959 engagement at Greenwich Village’s famed Five Spot divided the jazz world. Miles Davis, never one to mince words, flatly stated, “The man is all screwed up inside”. Trumpeter Roy Eldridge told Esquire, “I listened to him all kinds of ways. I listened to him high and I listened to him cold sober. I even played with him. I think he’s jiving, baby.” That suspicion of a provocateur pulling one over on a gullible audience seems hard to fathom 50-odd years later, although one can more easily appreciate the bewilderment when faced with Coleman’s 1961 double-quartet date and tossed-gauntlet Free Jazz. As the longest continuous cut in jazz history at the time, Ornette’s 37 minutes of “unstructured” improv seemed as much an embodiment of chaos as the Jackson Pollock painting emblazoned on the album’s cover. Yet even this venture into uncharted territory owed much to the collective jubilation of Dixieland, dual drummers swinging like mad as a catchy if fragmentary melody line echoed across the performance. So long, head-solo-head. It gave an entire movement a name, even if Ornette himself moved on. If anything, Coleman only continued to confound. He added trumpet and violin to his own arsenal, while making no attempt at masking his initial inadequacy on either instrument. He introduced his 10-year-old son, Denardo, on drums during a brief stint with Blue Note. He offered the Third Stream brilliance of Skies of America in 1972, soaring over the mostly bewildered London Symphony Orchestra. He cut some tracks with Morocco’s Master Musicians of Jajouka. He went electric during the fusion era with the most anti-fusion electric act imaginable, the fractured, skronky funk of Prime Time. And as the 1980s wore on, he seesawed back and forth between electric and acoustic engagements, taking his time, venturing into the studio whenever he saw fit or a concept struck his fancy: soundtrack work for David Cronenberg, 1986’s Song X with Pat Metheny, a piano duet of sorts with Joachim Kühn. In a delightful late-career twist, his album Sound Grammar won the Pulitzer Prize for Music in 2007, supposedly after one member of the nominating committee duly considered the usual heap of classical offerings before asking if anybody else had heard the new Ornette record. It’s perhaps too glib to suggest the entire history of jazz could successfully be told via three Colemans: Hawkins, Ornette, and Steve. But you’d hit many of the genre’s highlights. 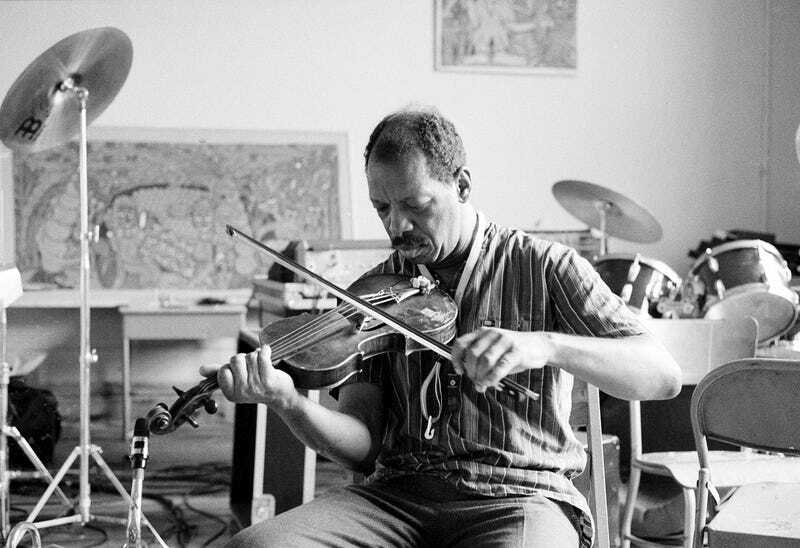 Ornette’s career remains one of the most joyful radicalism, continuously resetting our expectations, yet with the lightest of touches. Just consider the song titles and album names he favored throughout his long career. “In All Languages.” “Sound Museum.” “Dancing in Your Head.” “Focus on Sanity.” If our 21st-century ears no longer quite have the capacity to be shocked by the music he first set down half a century ago, well, perhaps that’s emblematic of his legacy. Shock was never the point, anyway. Maybe we were just finally beginning to catch up. Jason Gubbels is the Pop + World Editor at Rhapsody. He’s on Twitter. The Concourse is Deadspin’s home for culture/food/whatever coverage. Follow us on Twitter:@DSconcourse.